It has been awhile since I have updated the blog with a Nutrisystem update. I am still moving on towards my goal! I am not going to lie…..these last 10 pounds are the hardest to get off! Remember, it is not about perfection, but all about the progress that you make! I am still moving along with the program even though I have had some hiccups along the way. I am finding that when I don’t exercise and drink my water, those are the weeks when the weight loss is stalled the most. I am trying my best to get in all of my veggies in each day too. I am loving all of the fresh produce that is available at the stores these days. Living here in Florida, we are blessed with so many wonderful in-season produce items right now. Fresh tomatoes, strawberries and zucchini are just a few of my favorites! Stay tuned, I will be sharing a photo next week of my progress so far! This entry was posted in Lifestyle, Nutrisystem and tagged #nsnation #blogger related on March 6, 2018 by Heather Brickell. I have been following the Nutrisystem plan the way that I should this entire week and I feel so much better. Isn’t it amazing that when you make bad food choices you really do feel awful? And, the more bad food that I eat, the more food I want to eat. That is one of the things that I just love about Nutrisystem. Not only does it teach you how to have portion control, but it allows you to eat real food. What other diet plan out there lets you eat cinnamon rolls, pizza, pasta, ice cream and other yummy foods and lose weight while doing so? You eat this food and you lose the weight. It really is that simple! Staying focused is my goal this week! 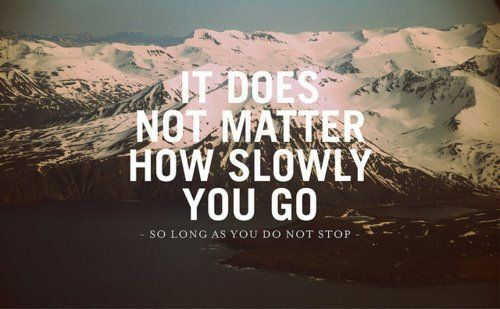 I have to continually remind myself that weight loss is a marathon towards your goals and not a sprint. Staying focused means being prepared for the unexpected. Nutrisystem is preparing me for healthy and attainable goals after I finish the program. Stay tuned as I continue on my journey! A huge thank you to Nutrisystem for allowing me to continue with the program. I also wanted to mention The Leaf by Nutrisystem. This is where you will find delicious program-friendly recipes, success stories and more! I made the Hearty Chili over the weekend and it was so delicious that my entire family enjoyed it! Score! This entry was posted in Lifestyle, Nutrisystem and tagged #NSNATION, blogger related on January 11, 2018 by Heather Brickell. I know that it has been a few weeks since my last Nutrisystem update. I wanted to take a few minutes from the hustle and bustle of the holidays to share a recent update and to share with you a few thoughts that I have been pondering on lately. First of all, let me begin by saying that being on a weight-loss plan this time of the year is definitely not for the faint of heart. I am not going to lie. First of all Thanksgiving and now Christmas! While I did not totally veer off-track from my Nutrisystem plan, I have made a few bad food choices along the way and I have not been as consistent with my water intake. I am sharing my honesty with you so that you can see I am human and will make mistakes. BUT, I am back on track this week! The last time I got on the scale I was down 12 pounds. I am going to wait until Monday to get back on the scale to see where I am. I have a goal of at least 20 pounds so I am still on track for my goal! I love the quote above from Bo Jackson, “Set your goals high, and don’t stop till you get there.” My goal is a high one and I know that I am going to achieve it! Nutrisystem is such a great program and one of my favorite things is that all the food prep is pretty much already done for you. You don’t have to think about what you will eat for breakast, lunch or dinner. The only thing that you have to do is to decide which delicious entree that you will eat for those meals. (and your snacks in-between) Oh, and don’t forget that you get to eat a delicious snack each night! Score!! Look what I had for dinner tonight! My Nutrisystem Chicken Parmesan entree and roasted zucchini in the oven. So delicious and filling! Stay Focused- Remember, weight loss is a marathon towards your goals and not a sprint. Staying focused means being prepared for the unexpected. Nutrisystem is preparing me for healthy and attainable goals after I finish the program. I am finding myself making wise food choices when I have to eat out or having a flex meal at home. I am proud of myself for making these choices and it makes me feel so good! This entry was posted in Nutrisystem and tagged #NSNATION, blogger related, nutrisystem on December 12, 2017 by Heather Brickell. Well, I am into my full third week of Nutrisystem! I can hardly believe how quickly the days are flying by! I am still thorougly enjoying the program and feeling fantastic! More on my results later, but first, I want to share with you some things that I am learning on this journey. One of the most important things is that I am learning…..not to compare myself with others. Everyone loses weight differently and changes come in all shapes and sizes. I am my own worst critic when it comes to my body and how I feel about myself. But, this program makes me feel good about myself and how I am feeling these days! I am the hero to my story. 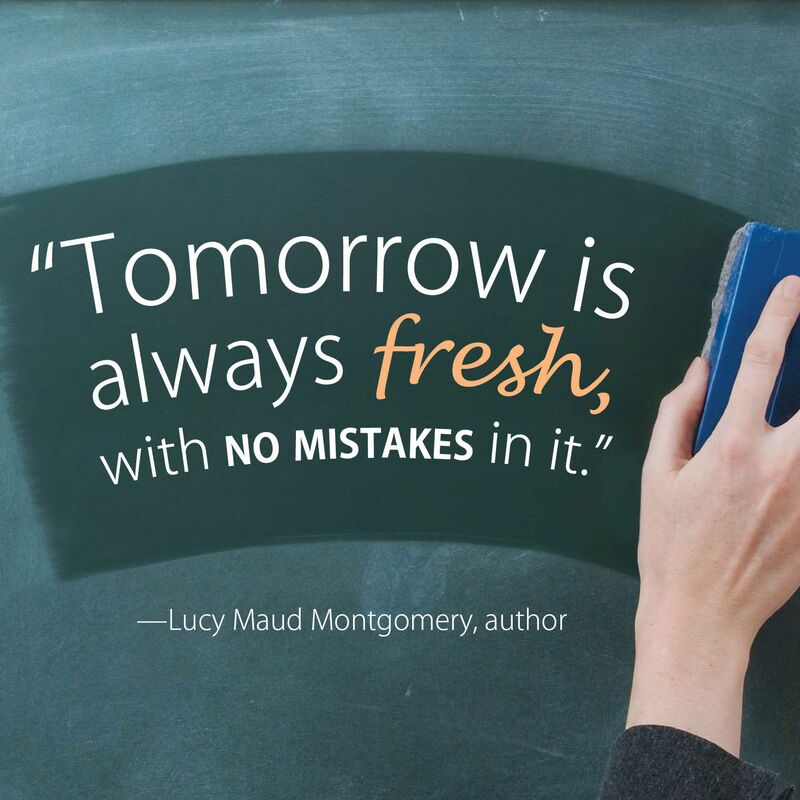 With Nutrisystem, I am learning to make healthy choices and those choices are paying off. I am feeling so wonderful and I know that I am making great choices for my lifestyle. I walk 5 times a week and that walking paired with Nutrisystem makes for a perfect match! In fact, I find myself wanting to exercise each day! How is my progress so far? The scale for me is moving a little slower than I would like. I am down 6 pounds. BUT, the inches are coming off. I have lost about 3 inches overall and my clothes are getting so much looser! To me, that is a major victory! What are some of my challenges? For me, I struggle to get in 64 oz. of water each day. I have found that adding zero calorie flavorings really does help a lot. I think that the water consumption is key! I am really making it my goal this week to get all the water in each day. Overall, I am so excited with how I am doing and the progress that I am making. I have to remind myself to take each day one step at a time. Weight Loss is A Marathon, Not A Sprint! Here’s your weekly inspirational thought from Vince Lombardi: “The measure of who we are is what we do with what we have.” Here’s to another great week of Nutrisystem! This entry was posted in Nutrisystem and tagged #NSNATION, blogger related, nutrisystem on October 18, 2017 by Heather Brickell. Last week was my second full week of Nutrisystem and I wanted to give an update on my progress thus far. I am loving the Nutrisystem plan and excited that I can now add PowerFuels and SmartCarbs into the mix of things! Aside from the delicious Nutrisystem meals that I am being provided, I get to add in 3 PowerFuels and 1 SmartCarb each day. In addition, I eat at least 4 servings of veggies AND I get to have a snack/dessert at night! Any diet program that allows you to have dessert is a winner in my book! At this point, Nutrisystem also wants you to start adding in your own Flex Meals. These are meals you make on your own using easy Nutrisystem guidelines—to help teach you healthy habits so you can maintain your weight loss after you reach your goal. I love how Nutrisystem prepares you for after you are done with the program. This is a key factor to me! This past week I had 2 Flex Meals. Hubby and I attended a conference through our church and had to eat out 2 times over the weekend. I feel that I did pretty well! I had mixed veggies, a salad, 3 meatballs and just a little bit of pasta. I felt like it was right on point with what I would have received in Nutrisystem entree and I feel great about my choice. The next morning we had breakfast out and I chose 1 sausage patty, some scrambled eggs and 1 pancake. While I didn’t know the exact calorie count of the items, I feel good about my choice. It is all about moderation as well and I love how the Flex Meals prepares you for that. Now you may be asking yourself, “What is the difference between this part of the Nutrisystem plan and the Turbo Takeoff?” If you remember from my post HERE, I explained how Turbo Takeoff is really like a bootcamp for your body to prepare you for what is to come. With Turbo Takeoff, you only eat what is in your box. With this part of the plan, I can add in my own grocery additions in the form of SmartCarbs and PowerFuels. What are PowerFuels and SmartCarbs and how do they play a role in the Nutrisystem plan? Nutrisystem meals and snacks were created with the optimal balance of nutrients to keep you feeling satisfied as you lose weight; however, because it’s important for to learn—and practice—healthy eating habits so you can sustain your weight loss for life, it is important to add in these fresh grocery foods into your diet. SmartCarbs– The term “SmartCarbs” refers to a specific group of carbohydrates that are nutrient-rich and lower on the Glycemic Index. These carbs are packed with fiber so they are digested more slowly, helping you feel fuller longer. With the plan that I am on, you are allowed one SmartCarb per day. This will be items that are at least 80-120 calories per serving and 1 gram of fiber. A few of my favorite SmartCarbs include fruit, hummus and whole wheat toast or 100 calorie sandwich thins. PowerFuels– PowerFuels consist of high quality proteins that contain essential amino acids and healthy fats. It takes longer for your body to digest these foods, so they help you stay satisfied. One serving of PowerFuels should contain 80 – 120 calories and at least 5 gram of protein. Some of my favorite PowerFuels include 100 calorie Greek yogurt, cheese sticks, peanut butter and almonds and eggs. I am learning so much about myself through the help of Nutrisystem. I have been adding my walking routine back into the mix of things and it really does help me to focus on my goal even more. I feel so empowered and am so grateful for this opportunity to partner with Nutrisystem to focus on getting me back to a healthy weight and to feel better about myself. Now, while the scale may not be moving as fast as I would like for it to, it is moving at a healthy pace. I have lost 5 pounds so far. BUT, my clothes are already starting to fit much better! This is so exciting to me! It is all about getting healthy! I also feel that I tend to lose weight rather slowly so this can sometimes be discouraging. BUT, I am not discouraged because I feel great about what I am doing! Stay tuned as I continue this amazing journey and follow along with me! Stay tuned as I continue on my journey! Want to join me and lose weight and get healthy on Nutrisystem? GO HERE to see more details of this remarkable program. You can also check out The Leaf by Nutrisystem where they share yummy recipes, success stories and more! Here’s your weekly inspirational thought from Confucious: “It does not matter how slowly you go as long as you do not stop.” These are such great thoughts for me right now since I feel that I am going at a slow pace. I will not stop! This entry was posted in Nutrisystem, Uncategorized and tagged #NSNATION, blogger related, nutrisystem on October 10, 2017 .